There are a lot of myths and misconceptions about podcast search-engine optimization (SEO). I have this information in my SEO for Podcasters course, and I want you to have the core understanding for what SEO stuff actually does and doesn't matter in podcasting. 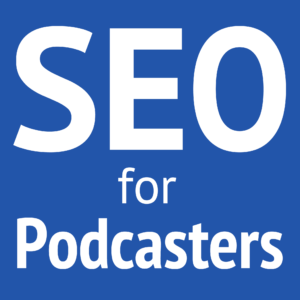 Through the end of 2016, use coupon code “podcastseo” to save $100 on my complete SEO for Podcasters course. Or, join Podcasters' Society and you get immediate access to the course and much more! Before I get into what does matter, I need to point out some common misconceptions, bad advice, and myths I've heard from many podcasters (even some podcasting experts). Getting your podcast audio transcribed is not an instant solution to podcast SEO. For the most popular podcast apps, those transcriptions will not affect your SEO at all. For websites, a transcript for show notes is better than a single sentence or paragraph. The fault of transcripts is in the amount of words relative to the quality of the content. Solo or interview podcasts may result in somewhat helpful transcripts, but conversation podcasts give horrible transcripts. Although the author tag appears along with the title of your podcast in iTunes and other podcast apps, it is not a subtitle and should not be treated as such. The author tag is the place to put the creator (or creators) of the podcast, not to expound on the title or subject matter. The author tag is where you list the actual authors/creators/hosts of the podcast. The is not the place to stuff it with keywords, similar podcast names, names of your guests, or names of relevant famous people. Here's an example of the kind of bad author tag I'm talking about. I changed this to protect the quite guilty. Daniel J. Lewis chats with entrepreneurs Michael Hyatt, John Lee Dumas, and Pat Flynn with motivation from Steve Jobs, Abraham Lincoln, and Alexander the Great. If Seth Godin had a podcast, this would probably be it. Of all those names, who actually creates and hosts the podcast? Only one of them. And of all those names, who is actually alive? This kind of stuff will look horrible in your podcast listing, and it can even get your show blacklisted by Apple! ID3 tags are metadata you attach to your MP3 files. These are helpful for compatibility with various podcast apps and players, but they don't affect SEO because they aren't searched until they downloaded. Even after being downloaded to your subscriptions, some apps may not search the ID3 tags. I think this confusion comes from cross-platform terminology, like “tags,” “meta tags,” “metadata,” and “meta information.” These are is often used in reference to RSS feeds and webpage stuff, which do affect some SEO. But these tags in your ID3 tags don't affect SEO. The main purpose of your show description should be to tell someone why they should subscribe to the podcast and what to expect. That can be done with some SEO keywords, but it shouldn't be a priority to stuff the keywords. For example, if your description includes something like, “We talk about awesomeness, things that are awesome, and give tips for being awesome in your daily life,” you are both including keywords and telling more truth about your podcast. 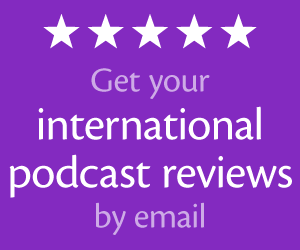 There are plenty of good reasons and uses for podcast ratings and reviews, but ranking is not one of them. Many podcasting experts (including Rob Walch, Paul Colligan, and myself) have tested, researched, and proven multiple times that subscriptions are the most important metric to podcast ranking. The charts weigh more heavily on new subscriptions within the last few days, and then fallback to total lifetime subscriptions. Doesn't it actually make sense for subscriptions to matter more than reviews? Think about measuring a book's popularity. Wouldn't you expect its popularity to be based on number of copies sold instead of on the number of reviews about the book? The point of SEO is to make your podcast show up in relevant searches and to attract the right audience. The words in your podcast cover art will not make your podcast more findable. But where your cover art can help is in communicating the quality and subject of your podcast. Imagine you want a podcast about baking cakes. You enter some keywords in iTunes and the #1 result has cover art that shows a couple machine guns and cats. How relevant would that podcast seem to baking cakes? Your cover art is an opportunity to not only catch someone's eye, but also to help attract the right audience. 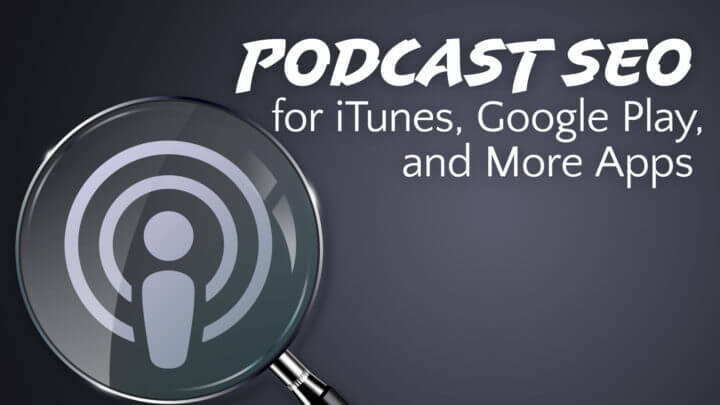 Podcast apps search differently and place different emphasis on different types of words. A while back, a search for “clean comedy” would ignore the word “clean” and thus search for only “comedy.” The results were the top comedy podcasts—all explicit. Yikes, right? Many search engines have a list of words or types of words they ignore. These are commonly called “stopwords.” Those are usually short and seemingly unimportant words, like “a,” “the,” “to,” and such. Thus, some apps may return results for “audacity podcast” when you search for “The Audacity to Podcast,” even though the “the” and “to” in my title are extremely important. I'm about to share a whole lot of information about different apps and RSS fields, so get my Podcast SEO Cheat Sheet for a quick reference! Apple's iTunes and Podcasts apps are the top places for podcast searches and consumption. Thus, it's important to ensure your podcast is in Apple's apps and is appropriately findable. Most people (even many podcasting experts) think there are only three fields iTunes searches, but there are actually four! This is the overall title of your podcast, in the channel-level <title> tag of your RSS feed. This is the overall author/creator of your podcast, in the channel-level <itunes:author> tag of your RSS feed. This is the title for each individual episode, in the item-level <title> tag of your RSS feed. This is the secret one most podcasters don't know. It is the author/creator/guest for each individual episode, in the item-level <itunes:author> tag of your RSS feed. I show how to leverage each of these tags and best-practices inside my SEO for Podcasters, which is now included for all members of Podcasters' Society! Google finally got back into supporting podcasts when they started including podcasts in Google Play Music in early 2016. 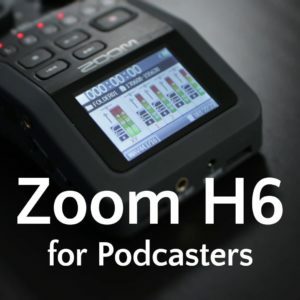 I believe this will eventually become a major destination for podcast consumption (“podsumption”), so it's important to ensure your podcast is findable there. Google Play Music will first use any <googleplay:…> tags in your RSS feed and will fallback to the equivalent <itunes:…> tags if the Google Play Music tags don't exist. This is the overall author/creator of your podcast, in the channel-level <googleplay:author> or <itunes:author> tag of your RSS feed. This is the overall description of your podcast, in the channel level <googleplay:description>, <itunes:summary>, or <description> (in that order of priority). See? I told you your description is searched! Want to see all this information in a handy cheat sheet? Again, I show how to leverage each of these tags and best-practices inside my SEO for Podcasters, which is now included for all members of Podcasters' Society! The Google Play Music part isn't in there, yet, but will be in the course updates in 2017.
iTunes and Google Play Music are not the only popular podcast apps, so I researched more highly popular apps for what matters in their searches. I know this is a lot of information, so look at my Podcast SEO Cheat Sheet to get a quick understanding and comparison. Great episode, Daniel. I am Brazilian and it is a pity that Google play music for podcast is not available in Brazil yet. At least, with this episode, we will make it right in Google play music from the beginning when it is available. Yeah. I really thought they would make it globally available before now. Do you know what Android podcast app is popular in Brazil? I think the most popular is Podcast & Radio Addict mainly because it is free. I use Pocket Casts, which is pretty popular on the paid side. Another app that has grown in popularity is WeCast – Podcasts, that is developed by a Brazilian. From time to time, some podcasters have made a research about the podcast consumption habits of their listeners. In the last edition (2014), almost 43% of their listeners said that they listen to podcasts using their computers and 42% use smartphones to listen to the programs. I think that these numbers will significantly change when Google play music for podcast is available, since android devices are usually less expensive than Apple’s. Is the episode-level author tag available to edit in libsyn? I don’t see it in the Add New Episode section. Great post/episode. Thanks! Did I hear you mention in this cast that you no longer have to have iTunes installed to submit a podcast to iTunes? Or did I just dream that? That’s correct! It’s now all managed by PodcastsConnect.com. Hey brother. Could you let me know what to edit to add Libsyn Custom Author for each episode? Thanks so much! Love your work!